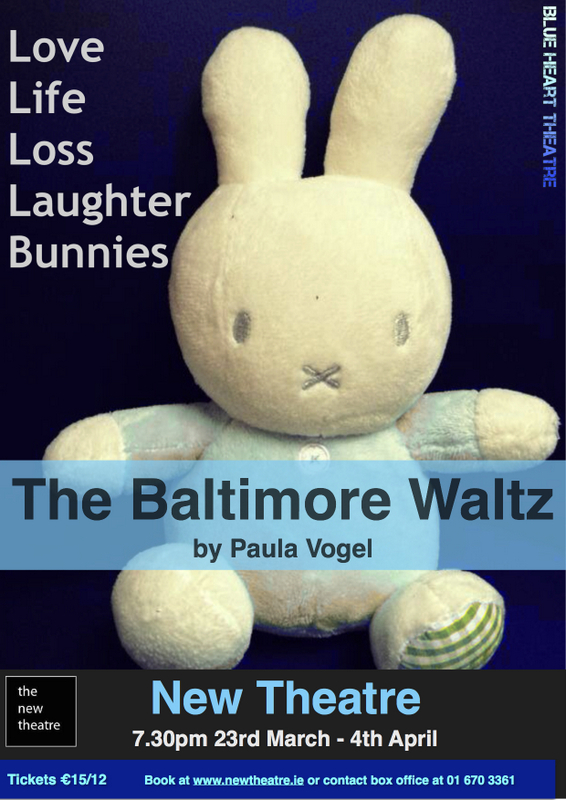 The Baltimore Waltz written by Paula Vogel – Review by Frank L.
As you take your seat, on the stage are a man and a woman lying under a duvet in a double bed. Standing on a box a little distance apart is another man. He faces in the direction of the double bed. The double bed contains Anna (Niamh Denyer) and her brother Carl (Mike Kunze). They are young adults. The man on the box is the Third Man (Brian Higgins) who plays a myriad of roles through seventy minutes of sometimes funny, sometimes satirical and nearly always iconoclastic romp through the unlikely vehicle of terminal illness. The disease is ATD (Acquired Toilet Disease) which can be contracted from infected children’s lavatories…all your parents’ concerns about unspeakable diseases lurking under lavatory seats are true. ATD as an acronym is not that far from AIDS. Indeed the play was written in 1992 when the AIDS epidemic was in full spate, with a diagnosis constituting a death sentence. It was Vogel’s response to the chaos that the AIDS epidemic was causing to her personally and the society in which she lived that she wrote the play. Like AIDS itself, the plot has its complexities. Anna as a school teacher in Baltimore has been diagnosed with ATD. It appears that the Third Man may have access to an unlikely and obviously not approved cure for ATD. Carl knows the Third Man. He is in Europe. Carl is a bit of a book worm and a linguist of some considerable skill, Anna is not. She needs him to accompany her to Europe. ATD does not appear to be transferable by the exchange of bodily fluids. Anna with the limited time available to her is pretty keen to see as much of European life from the horizontal as possible and does so with a variety of new male friends from a goodly spread of ages. All of this makes for a series of unlikely vignettes which proclaims the truth that laughter is the best medicine. To achieve this happy state of affairs the three actors have developed a good rapport with Brian Higgins having the sheer unadulterated fun of playing a multiplicity of unlikely roles which he does with relish. As Anna, Niamh Denyer knows how to get a man but also how to make the audience laugh. Mike Kunze as Carl has a more tricky part as the caring brother but his little obsession with a white bunny keeps him well in step with the fun side of the piece. There is a postscript, it is both poignant and droll. It brings a balance, a sense of weighing up, an awareness of what was lost. Well done to the fledgling Blue Heart Theatre Company bringing this American treasure created in response to the AIDS epidemic to the Irish stage. 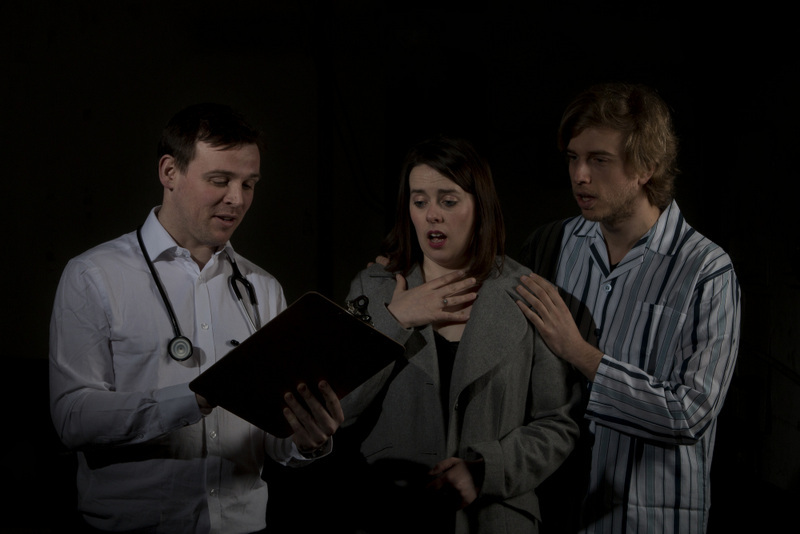 Find out more about Blue Heart Theatre here.